I’m on my way to attend a party and it's cold and snowy outside. Thanks to Romwe for my cream cardigan that has wide lapels, fits loose with comfortable styling and batwing sleeves, it’s cotton so it’s really nice and soft to touch. It’s great to match with any boots and brown leggings, which have a stretchy length, high waist and I love the elastic styling of these coffee color leggings. They really keep me warm when I wear them on cold days. I love this outfit called the Wide Lapels Batwing Sleeves Cream Cardigan Wide Lapels Batwing Sleeves Cream Cardigan and not just for my everyday wear, but I can also wear it for any casual occasion. I just love the style Romwe has to offer, especially this outfit for today. 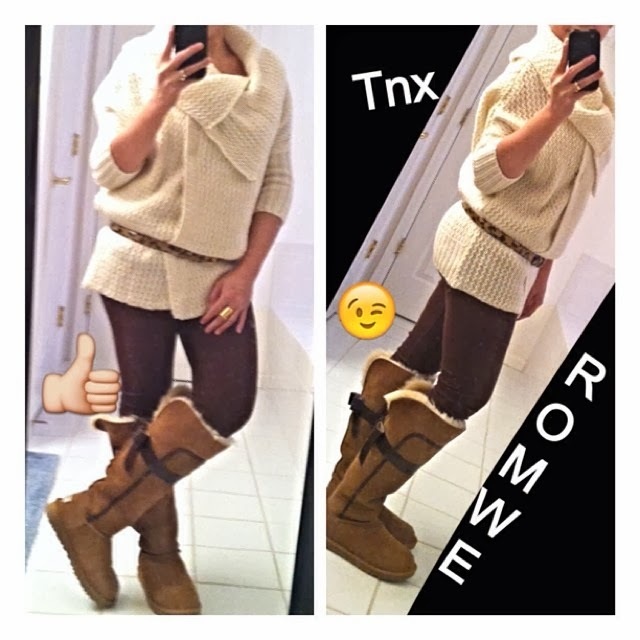 I’ve received a lot of compliments when I wear it and thanks to Romwe for giving me this opportunity to try their products.